Four for Friday: Gearing Up! See our end of the week roundup below. Our Australian friends at MetaXstream have posted a new mill article, and you can also find a new “Walk n Talk” podcast series on their Facebook page. 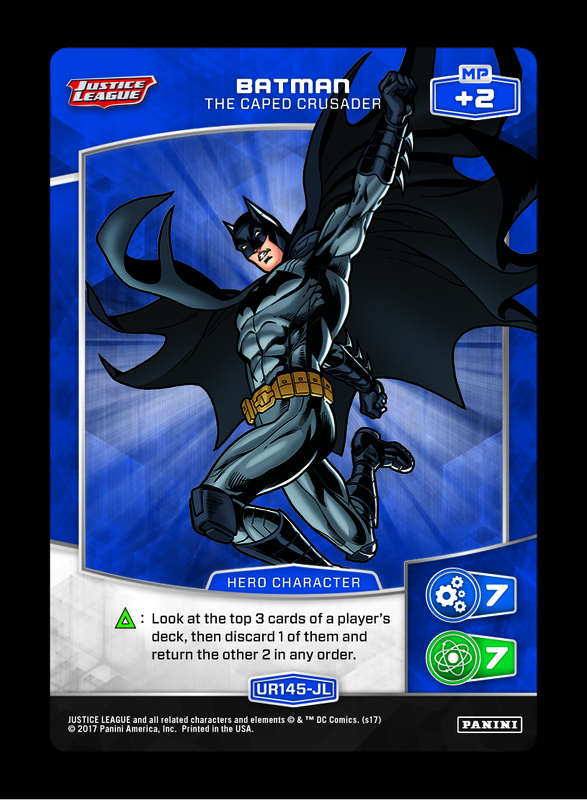 MetaManiacs has recently taken an in-depth look at the Cat & Bat archetype, and be sure to check for their pending MXOLT III statistical breakdown. Finally, you can always utilize the MetaX Deck Builder here (with Toyboat’s Deck Gallery expected to relaunch soon). 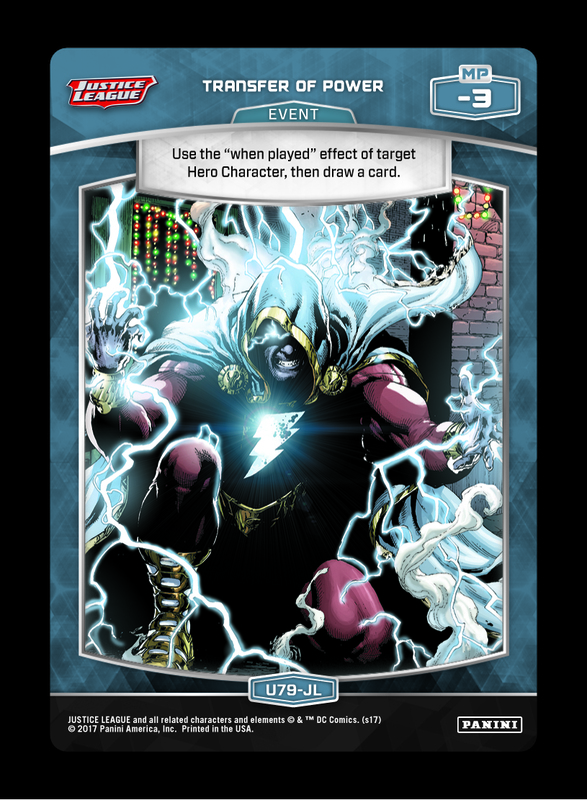 Several top performing decks in the current metagame rely heavily on certain key Events, and this effect can significantly disrupt any specialized strategy. 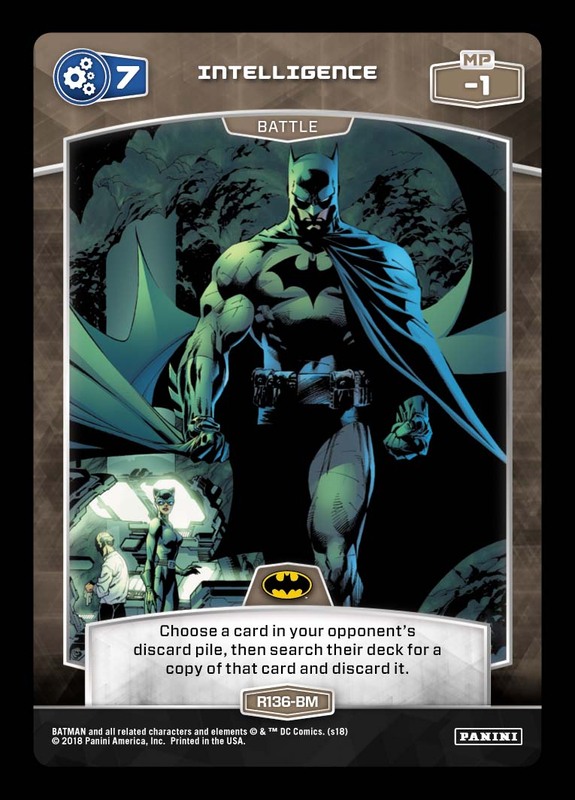 Aside from preventing future uses of a powerful Event, this also pairs well with preemptive discard effects like Echolocation and Batman – The Caped Crusader/Transfer of Power. 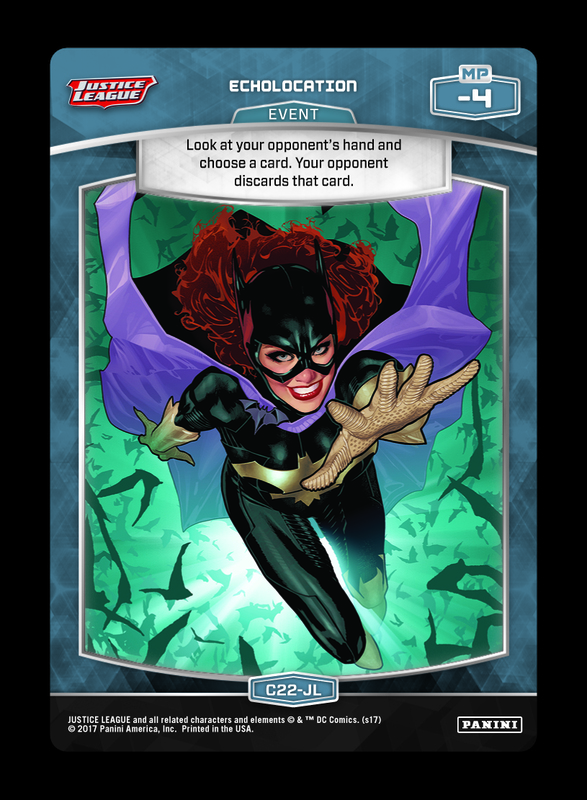 In late game scenarios, don’t overlook its ability to strip your opponent’s remaining Character cards! As we prepare for the upcoming circuit series, Deck Tech entries will continue focusing on well known competitive builds. This week kicked off the “tournament build” series with Unexpected Aggro, and we’ll also look to investigate known commodities like hand manipulation, Hero control, updated Scouts, Starfire, and more! If you’d like tips for your deck (or simply want to see it featured on the blog), submit your list to OP@paniniamerica.net with “DECK TECH” in the subject line. Roll into the weekend with the following combo-enabling effects, each of which will show up in the next set! Tuesday Deck Tech: Flip-Flop Aggro! Tuesday Deck Tech: Pacifist Mill!